Some of you might know that I have been hosting a weekly Pub Quiz (along with Shannon Barnson from the Geek Show Podcast) for the last couple of years. I write forty questions a week and I didn't realize how much material I'd come up with until I put it all together. Writing trivia is a learned skill and I can definitely say that I've gotten better at it. In my early days of the Pub Quiz, I looked high and low for resources I could go for trivia questions and no good options existed. Now an option does exist. 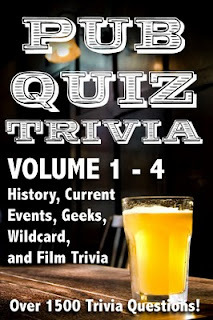 I've divided all of the Pub Quiz trivia questions I've written into 4 books of trivia questions now available for the Kindle and Nook. I'll be compiling all four into one book soon and publishing a print and digital version soon. 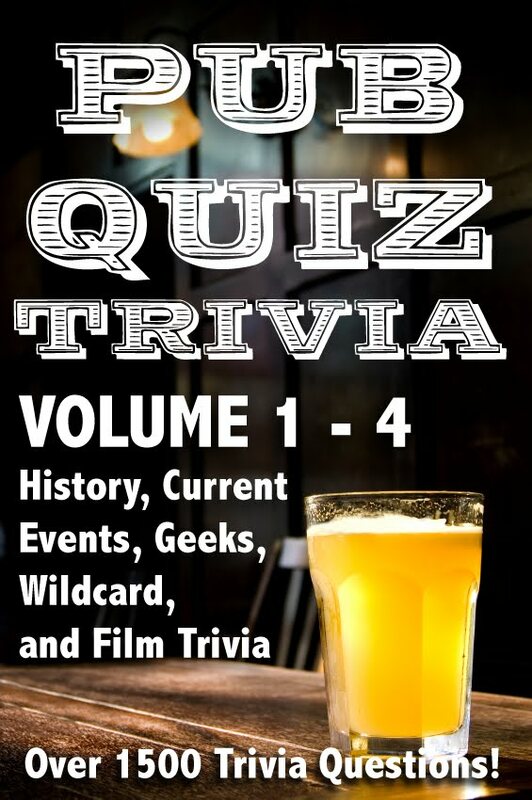 I know not everyone is into Trivia, but if you are, these are a great resource. As for a writing update: I've got another book coming up in the next week or two full of essays, editorials, and short stories I've written all about or inspired by Kurt Vonnegut, Jr. I'm also hip deep in editing my next novel and gearing up to write another one. Aside from all that, recording has begun on the Lost at the Con audio book! Lots of great stuff is coming, I hope you guys stick around for the ride. Hey, saw you on Reddit! You should take your trivia book and make it into a board game (or a video game)! Here's a useful website that I think might interest you. There's a larger market for trivia board game than there is for trivia books, I believe.